The 2015 Corvette Z06 is set to debut at the upcoming Detroit Auto Show and let me be the first to say daaaaaaaaaaaaaaaaaaaamn. 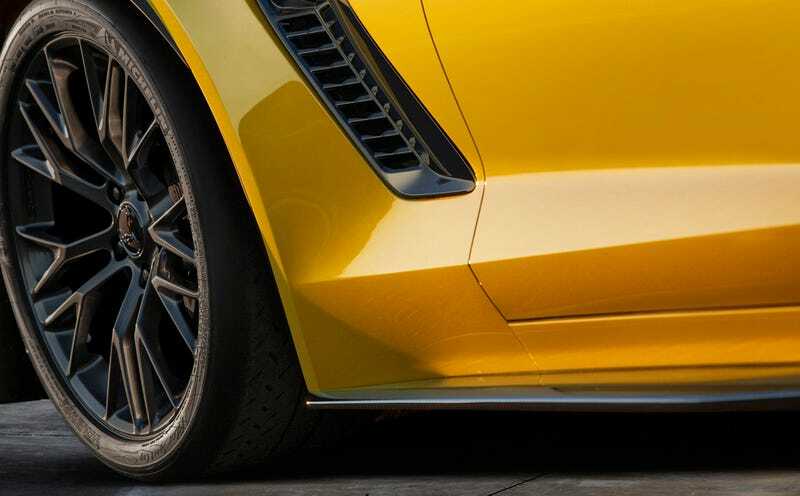 “It will be the most track-capable Corvette ever, designed to deliver supercar levels of performance through unique powertrain, chassis and aerodynamic features,” GM said in a statement. I hated the C7 when I first saw it, but in person it has really grown on me. This Z06 looks like it has all the extra Stingray-ness I could want. I've driven the 2014 Corvette and I can tell you that it is properly fast. This Z06 is going to be an animal.